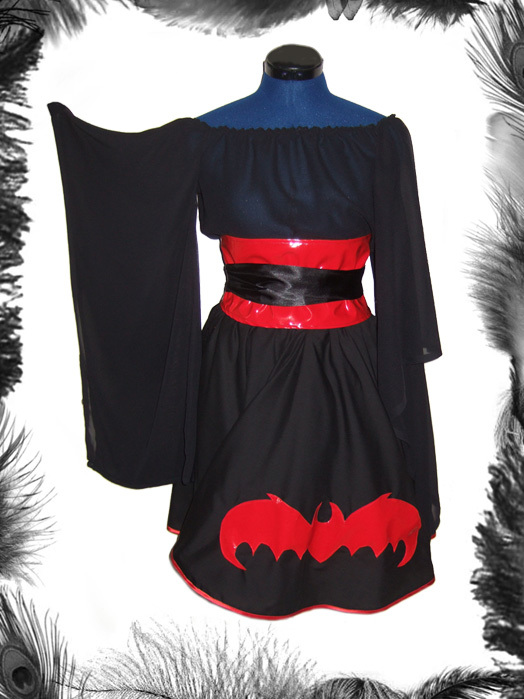 Full Circle Skirt with Pvc Bat Motif and matching trim. Made with polycotton blend fabric and trimmed with satin on the hem. Can be made in many different colour combinations, if the colour you want isn't listed below please email us.